Making a decision between a revocable living trust and a will comes down to your personal concerns and what you want to achieve with your estate plan. For most people, an irrevocable trust isn't an option because it involves turning over ownership your property to the trust and its trustee forever — once you do it, there's no turning back. A revocable living trust can be "undone" if you change your mind. It's not necessarily permanent. If you elect to form a revocable living trust rather than write a will, you're always free to reverse your decision later. You may not want to, however. This type of trust has some distinct advantages over a ​last will and testament. The necessity of probate is a major distinction between a revocable living trust and a will. Probate is a court-supervised process that's required when someone dies leaving a will — or even if they don't leave a will. The estate must pass to their heirs and beneficiaries, and probate is the legal process by which this is accomplished. A revocable living trust does not require probate. It's a private contract between you as the "trustmaker" or "grantor" and the trust entity. In most cases, a grantor serves as the trustee of their own revocable living trust, managing the property placed within it. A successor trustee steps in to take over when the grantor dies, settling the trust and distributing its property to the beneficiaries named in the trust documents. When a will is submitted to the court to open probate, it becomes a matter of public record. Anyone can stop by the courthouse and read it. They'll know what you owned and to whom you left it. No one other than the beneficiaries — and in some states, heirs regardless of whether they're beneficiaries — are entitled to see the trust documents. They will not become public record unless an heir or beneficiary files a lawsuit to challenge the validity of your trust. 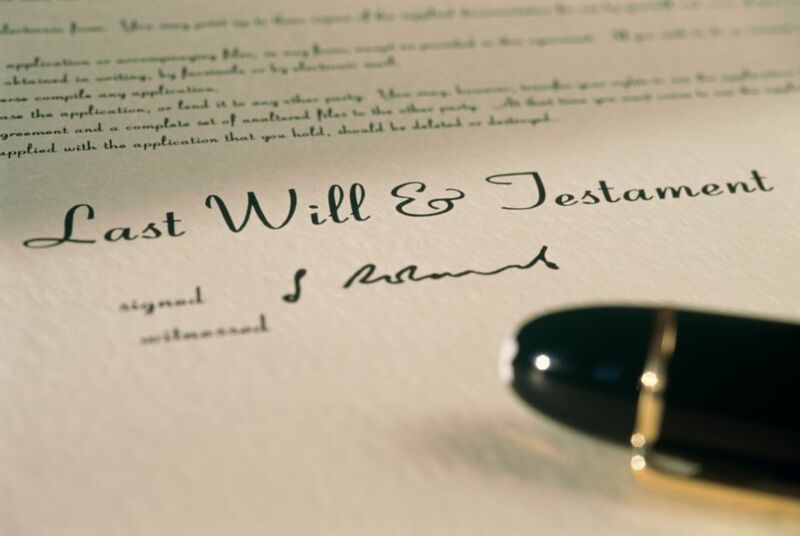 A significant advantage of a revocable living trust vs. a will is that it can prepare your estate in the event you become mentally incapacitated, not just when you die. Your successor trustee can also step in if you become mentally incompetent to the point where you can no longer handle your own affairs. Your trust documents can specify how it should be determined that you are indeed mentally incompetent, such as by certification by your own physician or a team of physicians who must all concur. Your trust wouldn't be administered in this case. Your property would not transfer to your beneficiaries as it would at your death. Your successor trustee will simply manage your finances and property for you because you're unable to. Your will cannot provide for this eventuality if you leave a last will and testament rather than set up a living trust. Your loved ones would have to ask the court to appoint a guardian or conservator to manage your affairs. A word of caution: some revocable trusts don't address mental incapacity, while others offer minimal planning for this type of event. If you elect to form a trust, make sure it includes a comprehensive disability plan. When you first form a living trust, it's an empty vessel, a legal entity without ownership of anything until you transfer your property into it. If you leave anything out, this property will still have to be probated because you've made no other arrangements for it. Some people create "pour-over" wills to deal with omitted property. This type of will simply directs that anything you still own in your own name rather than in that of your trust should go to the trust when you die. A pour-over will still requires probate. In most states, you must use a will to name a guardian for your minor children in the event of your death. Your trust can't provide for this. Probate may be necessary in some states, even with a fully funded revocable living trust, to limit creditors' claims.